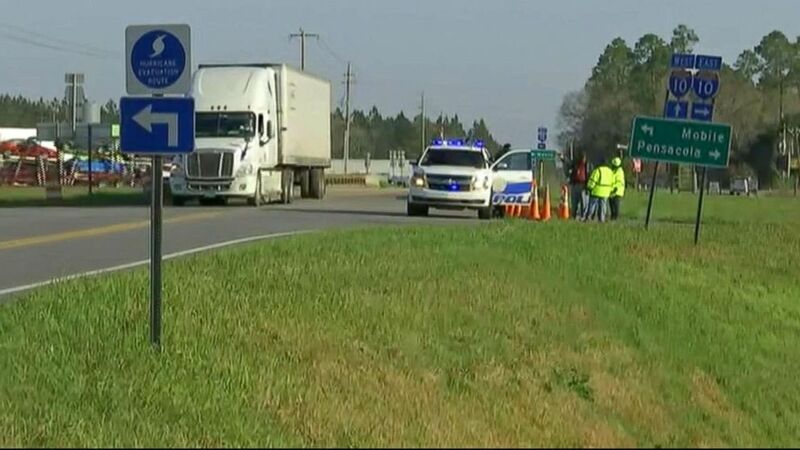 The crash took place on Interstate 10 in Baldwin County, Alabama. The driver of a bus carrying Texas high school band students has died and numerous people are injured after the bus crashed down a steep embankment off the side of an Alabama interstate, authorities said. 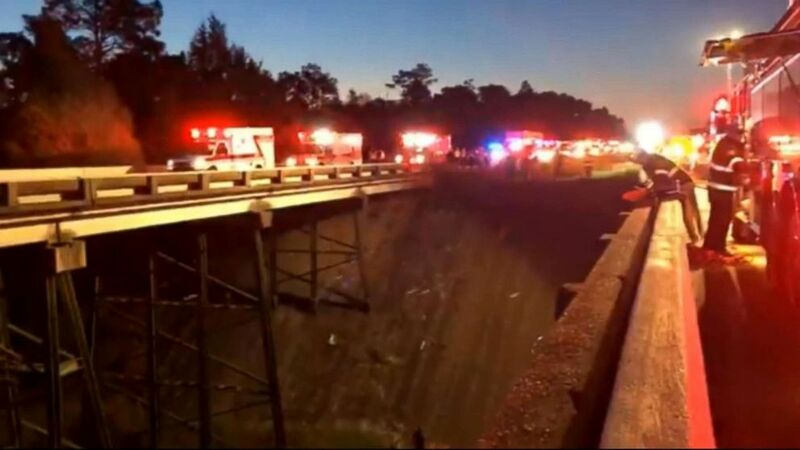 At 5:33 a.m., the tour bus, which was headed west on Interstate 10 toward Houston, careened near the highway median and ended up in a 50-foot ravine, Lt. Joe Piggott of the Alabama Highway Patrol said in a statement. Baldwin County Sheriff Mack said emergency units were dispatched to evacuate and extricate the passengers. Some were carried out by police deputies, others were brought to the surface by firefighters who rappeled down the ravine. (Dan Anderson/AP Photo) Rescue crews work at the scene of a deadly charter bus crash, March 13, 2018, in Loxley, Ala. 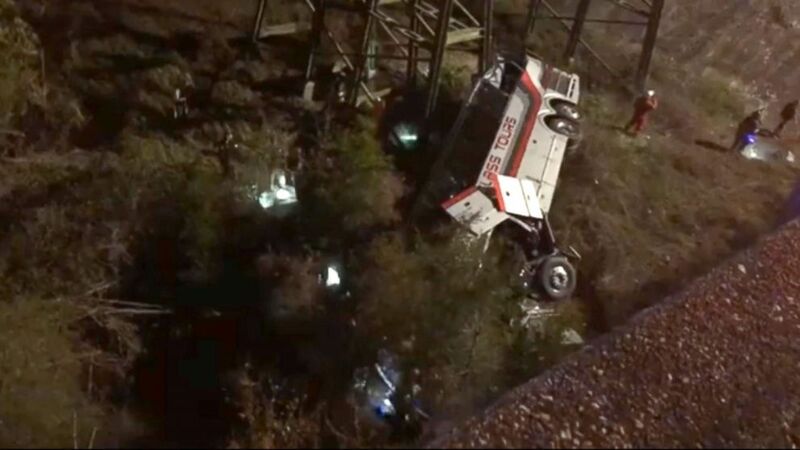 The bus carrying Texas high school band members home from Disney World plunged into a ravine before dawn Tuesday. (Jesus Tejeda/Facebook) Emergency personnel working the site of a bus crash on I-10 in Alabama. The bus was carrying high school band students from the Houston area according to school officials. Forty students and six adults were on the bus at the time, according to the school district. 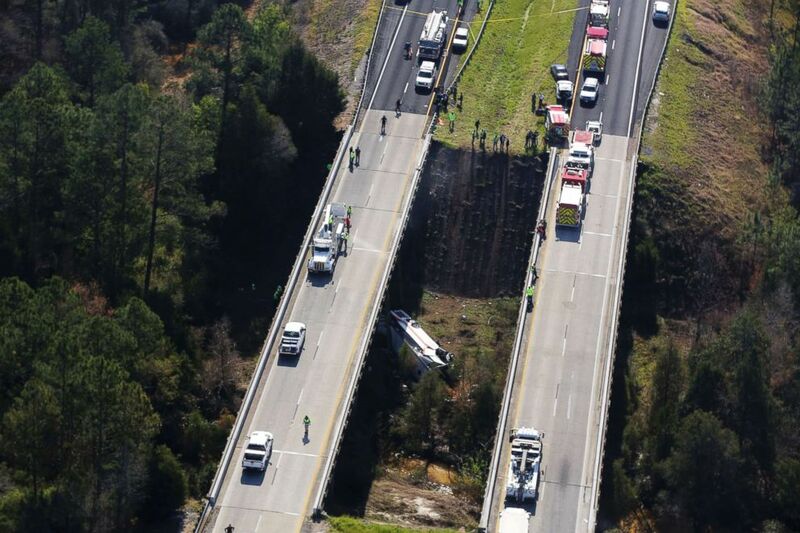 (WALA) Emergency personnel near the site where a bus carrying high school students from Texas crashed into a ravine in Baldwin County, Alabama, March 13, 2018. Dewayne Benson, 15, was on one of two buses traveling home from Walt Disney World, according to his sister, Sydney Benson. 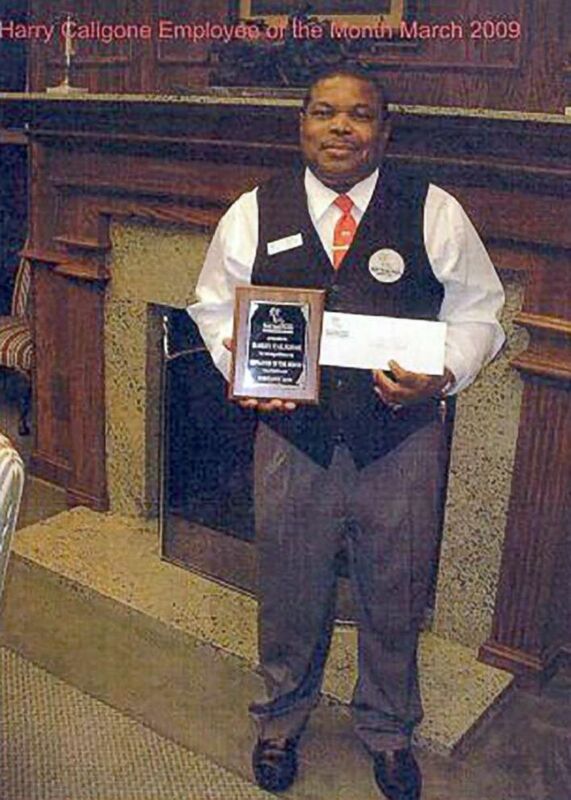 “He was asleep until the band director started screaming," Sydney Benson, 19, told ABC News. She said her brother called the family from a hospital in Pensacola, Florida, and does not seem to be injured. (Jesus Tejeda/Facebook) Emergency vehicles and personnel at the site of a bus crash on I-10 in Alabama. The bus was carrying high school band students from the Houston area according to school officials. Injured passengers were taken to hospitals in Baldwin County as well as Sacred Hospital in Pensacola, Florida, Piggott said. 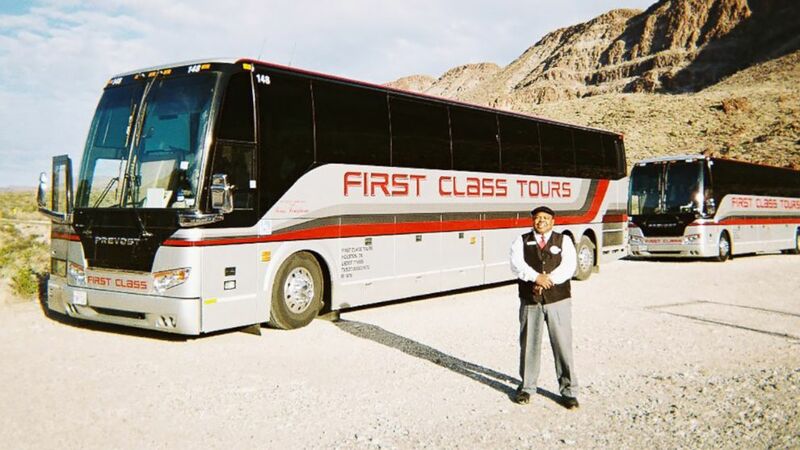 First Class Tours, which owns the bus, identified the deceased driver as one of its employees, Harry Caligone. "Harry was a long-time driver for our company and we are deeply saddened for this loss. We offer our heartfelt condolences to his family," First Class Tours said in a statement. (Courtesy Caligone family) An undated photo of bus driver Harry Caligone who died in a bus crash March 13, 2018. "Our prayers are with the injured and their families at this time," the statement added. "We pledge our assistance in cooperating with local authorities in the investigation." The students are from Channelview High School, said Mark Kramer, spokesman for the Channelview Independent School District. The school district said in a statement, "Our thoughts and prayers go out to our students, employees, and families that have been affected by this tragedy. "We are aware of numerous injuries," the district said. "We are now focused on getting everyone back safely to our community. We are extremely grateful for the first responders, hospital employees, and volunteers from churches and schools in Alabama and Florida that have stepped up to help our students and comfort them though this difficult situation. Those communities have opened their hearts and arms to our children and employees. They have provided resources, support, and a safe and welcoming environment while we work through the logistics of reuniting our families." Texas Gov. Greg Abbott tweeted, "Please join Cecilia & me in prayer and support for the Channelview students harmed by this bus crash." Investigators from the National Transportation Safety Board (NTSB) were investigating the accident. ABC News' Rachel Katz and Gina Sunseri contributed to this report.